A new law being introduced by the Tories will mean they can dictate where people can and can’t shop. Recently, Liverpool mayor Joe Anderson decided he would no longer shop at Walmart-owned Asda, following the supermarket’s decision to remove foodbank donation points from UK stores. He called for the boycott of the company. However, this Labour mayor’s ethical decision will soon be made illegal by the Tories, along with any other public authority that wishes to act morally. This is because the Government plan to outlaw local councils, public bodies and even student unions from boycotting ‘unethical’ companies. 1. Not be complicit in the practices of unethical corporations through supporting them financially. 2. Large scale boycotts can stop corporations engaging in unethical practices altogether. Profit-seeking companies are not very receptive to anything that doesn’t impact their turnover. A systematic boycott from consumers, damaging their profits, will speak volumes to them, while reasoned debate will not. Boycotts have been very successful in preventing corporations from profiteering and helping maintain the illegal Israeli occupation of Palestine. To illustrate, Belgium pension fund PGGM announced it would divest from 5 Israeli banks, SodaStream – a company with facilities in the West Bank – had to close its flagship store, and Agrexco, Israel’s former largest agricultural company, entered liquidation in 2011. -The Israeli authorities have maintained their air, land and sea blockade of Gaza, effectively imposing collective punishment on all 1.8m inhabitants. -Israeli authorities control Palestinian imports and exports. -They are building illegal Jewish-only settlements in Palestinian territories. -In 2014, over 2,300 Palestinians were killed by Israeli forces. 39 Israelis were killed. -Palestinian children are routinely tortured and killed in Israeli prisons. If the Tories were elected on a mandate to eradicate what democracy we have in the UK as quickly as possible, then they’d be doing a brilliant job. They’re looking to strip Labour of £8m per year, cut government funding for all opposition parties, and gerrymander constituency boundaries, in a leap towards a one-party state. Now David Cameron plans to squeeze out the little economic democracy there is in our current corporate system: the ability to freely make ethical decisions about what one purchases. In dictating where they shop, the Conservatives are breathing down the necks of local councils, which runs totally contrary to the localism that they have been championing. Last October, Chancellor George Osborne unveiled his “devolution revolution”; a plan to devolve powers to local councils. But now, with this plan to curtail the democratic power of local councils, it is clearer than ever that this devolution is a gambit to devolve the dirty work of implementing Tory spending cuts. Moreover, outlawing boycotts is a move to sanitise public bodies to ensure they are subservient to the corporate status quo. Public bodies that do not dare look beneath the shiny surface of big corporations will help maintain Cameron-and-co’s runaway crony capitalism, rather than challenge a global system where 62 individuals own as much wealth as half the planet. The Tories always worship the ‘free market’, with Cameron describing it as “the best imaginable force”, but on analysis we soon see it is freer for some than it is for others. It is free for the multinational corporations, who choose whether they pay tax, what laws are passed and even “co-write” trade deals involving entire continents. Compare this to how an ordinary person experiences the ‘free market’ and the picture changes beyond recognition. An ordinary person must pay tax, will get no say in what laws are passed except indirectly once every five years, and will be kept entirely in the dark on the devastating consequences of trade deals like TTIP. Through banning boycotts, the Tories are forcing local bodies to be complicit in the unethical activities of corporations, like G4S. This is a big step towards corporate fascism. 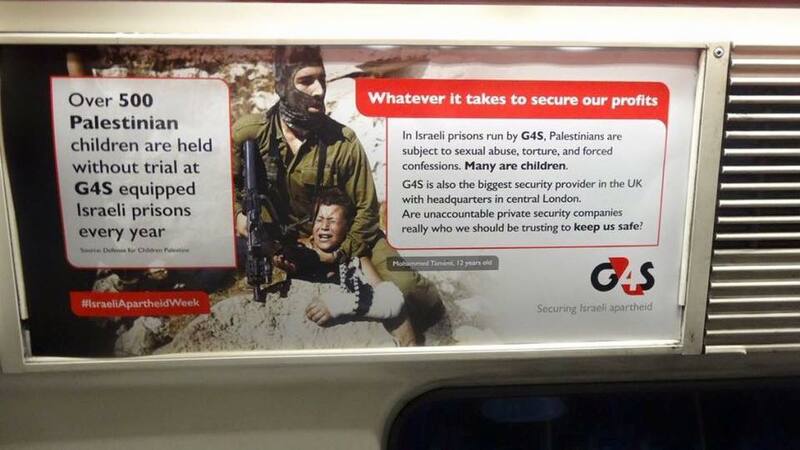 The boycott of G4S, which included divestment by the Gates Foundation, has played a big role in the corporation saying it will end its Israeli prison contracts when they expire. Contrary to the boycott ban, public bodies should lead ethically by example, like Anderson has done in calling to boycott Asda. His reason is that they have removed collection points for food banks, with awful consequences for charities. However, there are a few other ethical reasons to boycott Asda: to oppose US giants and support the local economy, or to say no to tax dodging. Asda is owned by Walmart and engages in large scale tax avoidance. Through Asda, Walmart’s ruling family are draining millions from the British economy into a family who already own more wealth than 42% of America. After helping themselves to a huge slice of our economy, they are then not even contributing back through taxes for infrastructure, education and other public utilities and services. Whatever ethical reason a public authority may want to boycott a corporation, soon they will be banned from doing so. 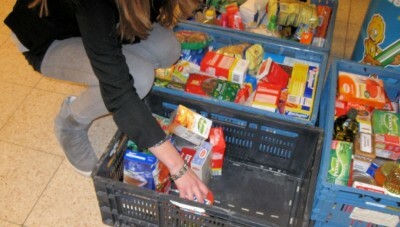 Boycotting Asda and focusing on the local economy would be beneficial for the British public. Yet, the Tories are making it illegal for public bodies to act outside of narrow, corporate interest. Meanwhile, they allow themselves to continue sanctioning other nations arbitrarily, like Russia. This may sound like the Tories have outlawed other people’s ethics and not their own, which would be a fascist policy itself. Yet, it is in fact worse than that. Conservative boycotts and sanctions are only ostensibly for moral reasons. We know this because they support the tyrannical Saudi regime, the House of al-Saud. This governing monstrosity executed 47 people in one day last month, and almost daily devastates neighbouring Yemen with indiscriminate airstrikes. As we have seen, the Tories also support the illegal Israeli occupation. The Tory compass is rarely a moral one; its needle points towards money, power and geopolitical gain, not towards justice or altruism. In banning boycotts, the government have actually made morals illegal for the public bodies that are supposed to uphold them. Britain will be left with only the quasi-morality the Conservatives use to make their policies more palatable. And mayor Anderson will no longer be able to make ethical choices on behalf of Liverpool. The state should uphold moral behaviour, not make it illegal. This policy to outlaw boycotts is part of a general perversion of the rule of law, where even ethics are considered “inappropriate” by the government. It should be rejected by all who value a civilised, democratic society.